How can I create validation to limit inputting no more than 3 checkmarks in each column of a matrix? At the moment the matrix widget dies not have the maximum and minimum selection validations. 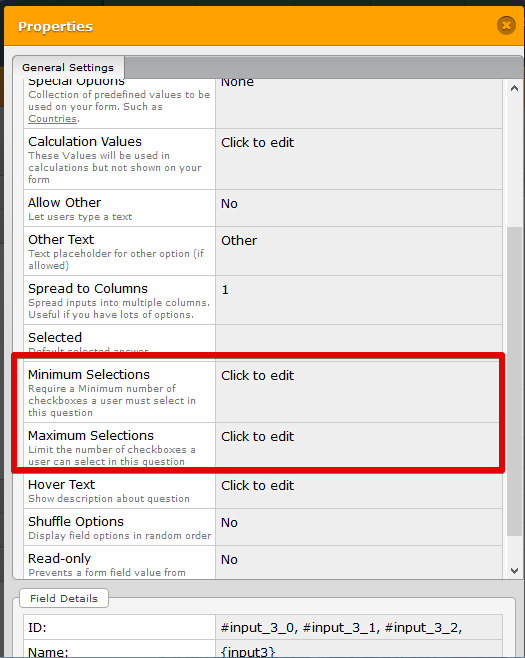 You might consider using the standard checkboxes as they have the maximum and minimum validation.